So, a reader is casting his lazy eye over the panoply of reviews we have on offer for VO, ignores most but takes a sudden interest in one. For some reason he’s stuck to that title and he feels the need to read it. What has hooked him? Do you think the titles you use for your articles could hook a reader like that? Pay attention to your own reading habits, next time something takes your interest in a newspaper or on the Internet, ask yourself, what happened? What was it in the title that made me look? Do I title my articles in the same way? Will my titles hook in readers in the way I’ve been hooked? 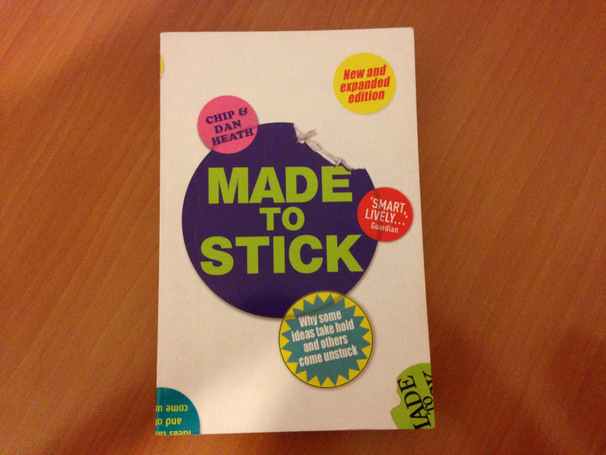 If you are interested in making an impact with your writing I highly recommend that you buy and read a copy of Made To Stick by the Heath brothers. It is an extraordinary book, which will give you a variety of techniques about how you can make a gig or album review really stand out, even if the gig didn’t! S – Simple – Get one key message across – and cut out all the rest. U – Unexpected – If the message that you want to convey is unexpected – than its all the better for making it stick. C – Concrete – Make your message concrete – talk about something that someone actually did – or a very precise feeling that you had about it. C – Credible – People have to believe what you’re saying to them – external validation of your view can help. E – Emotional – the more you can talk about the impact that it had on you and your feelings, the better. S – Stories – if somehow you can tell a story about a person, perhaps an emotive one, it will draw the reader in. When you come to choose a title for your article, and when you decide to write your first line, its maybe worth thinking about whether they hit any of these core principles.